A camera atop Building 54 looks toward the Harvard Bridge. 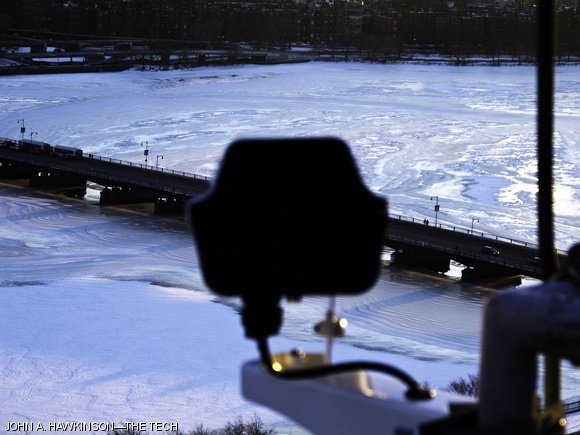 According to Thomas W. Komola, manager of the Security and Emergency Management Office, the camera (and its counterpart, pointed towards the river in front of Back Bay) provide wide views of the bridge and the Charles River in case of public safety incidents, though they have so far not seen use. The video feed is reportedly only accessible from SEMO, and the cameras have remote-controlled optical zoom capability.